SPOTLIGHT is a self contained, all night solar spotlight, delivering lots of light where you direct it. This product has been our most requested new design for two years. After design and testing, it is now available. The over-sized solar panel can be rotated side to side and the arm bent up or down to get the best possible solar collection to charge the battery. Fully charges in just 4.5 hours of direct sunshine. With its extension in place, SPOTLIGHT will stand above grass and weeds to light your trees, address numbers, name signs, large rocks with numbers/letters, pathway, boathouse, cottage trail, just to name a few. The all metal construction will allow for years of uninterrupted use through all 4 seasons. free-light products install in minutes, brighten for hours and last for years. 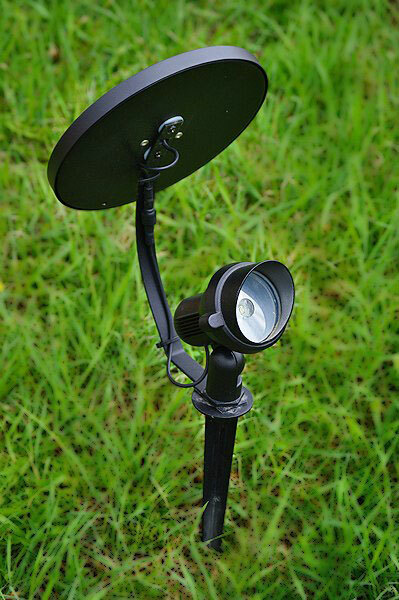 Learn more about the free-light solar SPOTLIGHT and order yours today!